← Skid Steer Bucket Attachments – Skeleton Buckets Leave The Dirt Behind! 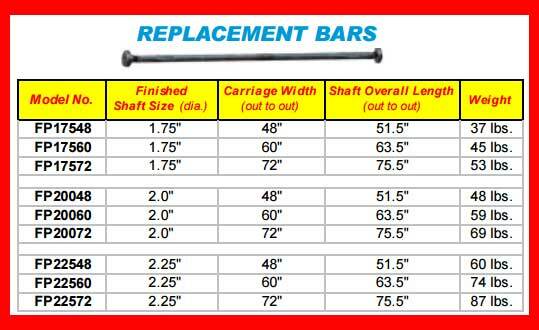 Fully Heat Treated For Strength And Increased Resistance To Bending. High Quality Forklift Forks Are Forged From One Piece Of Steel. Shaft-Mounted For Telehandlers And Rough Terrain Forklifts. Hook & Other Unique Styles. “ITA” style replacement forks are built to an international standard and identified by a Class Number which is relative to lift capacity range for which the hooks are designed. Most industrial type forklifts (industrial fork trucks) and a few rough terrain forklifts use ITA standard forks. The “ITA” style uses an upper carriage bar that is beveled and notched and a lower carriage bar is also beveled. 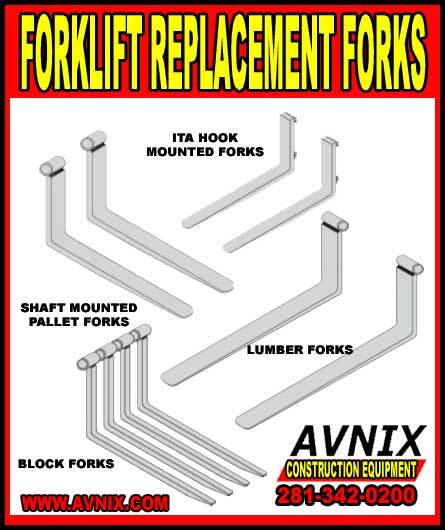 The chart below shows the ITA capacity range for the various class forks which can be used as a guide however to confirm the class of carriage on a forklift measure from the top of the upper bar to the bottom of the lower bar and compare to the chart below.